The popular hit HBO series Game of Thrones continues without fail to grow in popularity, with the handsome and mysterious Jon Snow as a primary character we can understand why. Many Game of Thrones fans will be delighted to know that they can now own a piece of this much adored series. 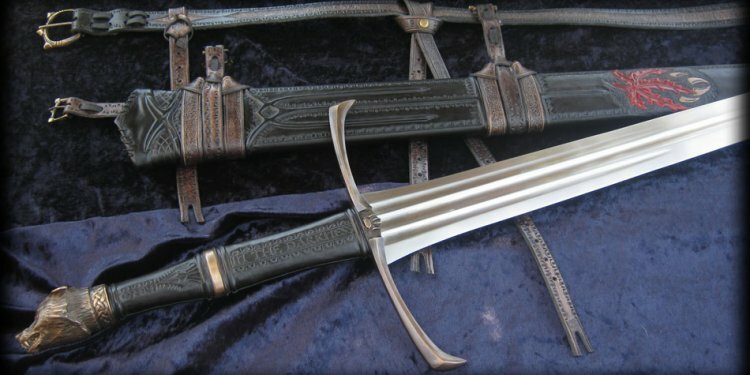 The Officially Licensed Longclaw Sword of Jon Snow measures 45 inches in length. The 35-inch stainless steel blade is secured to a compact handle with an attractive silver guard. The handgrip is wrapped with a black material and the pommel features a wolf head mounted on the pommel. This sword comes with genuine leather hilt and a silkscreen wooden wall display mount.